Northern Greece Luxury Vacations & Honeymoons —Visitors to this relatively untraveled region will be rewarded with an authentic, unspoiled Greece—one rich in natural beauty (mountains, gorges, waterfalls, rivers and lakes), fascinating history, and mouth-watering cuisine. To the west, the province of Epirus offers much to enjoy – from the scenic stone villages of the Zagorochoria nestled in the Pindos mountain range, to spectacular Vikos Gorge (the world’s deepest), and the beautiful town of Ioannina on Lake Pamvotida, which still bears traces of its Ottoman rule under Ali Pasha. For the more adventurous traveler, there are miles of hiking trails to explore, stone bridges to cross, and white water rafting down the bone chillingly cold Vodomaitis River of the Vikos Gorge. Or for those seeking rest and relaxation, breathe the crisp mountain air and admire the gorgeous views of mountain peaks and valleys as you dine al fresco on fresh trout and homemade “pies” made of local greens. While known for its mountains, the regions also offers the opportunity to relax on pristine beaches along the Ionian Sea. To the east lies Greece’s tallest peak, Mount Olympus, where Zeus and the Olympian Gods once reigned. And a little further to the east can be found one of Greece’s most important wine regions. 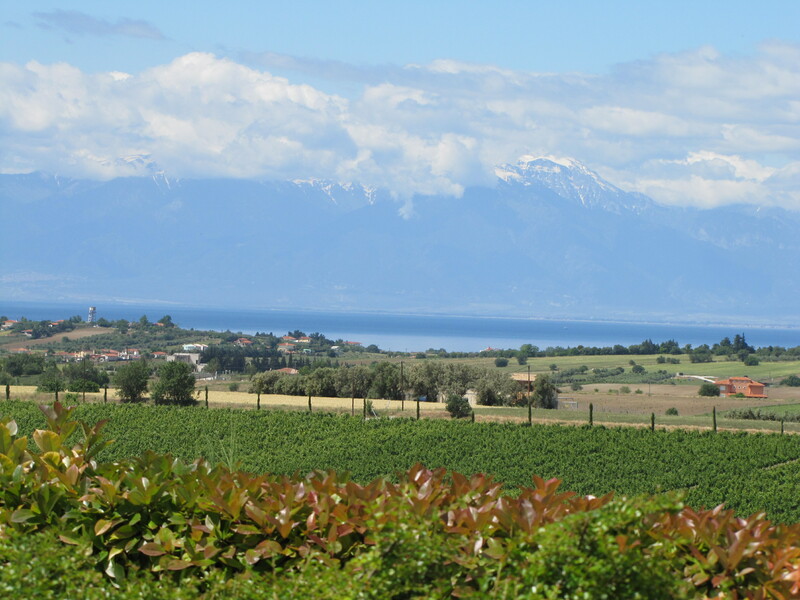 Taste and discover acclaimed vineyards where, nearby, Aristotle once tutored the young Alexander the Great. Not to be overlooked is the important city of Thessaloniki—with its stormy past of Roman, Byzantine, Ottoman, and Jewish rule—now modern Greece’s culture capital and second largest city. DELFINIA‘s luxury vacations and honeymoons in Northern Greece feature private guided city tours, guided visits to archaeological sites, guided hikes and outdoor activities, winery tours and culinary activities, and more! Contact DELFINIA to uncover the magic of Northern Greece and begin planning your memorable and exceptional vacation or honeymoon!